Dad has always said that organization is half the battle. I believe this to be true. I did not inherit this useful skill. 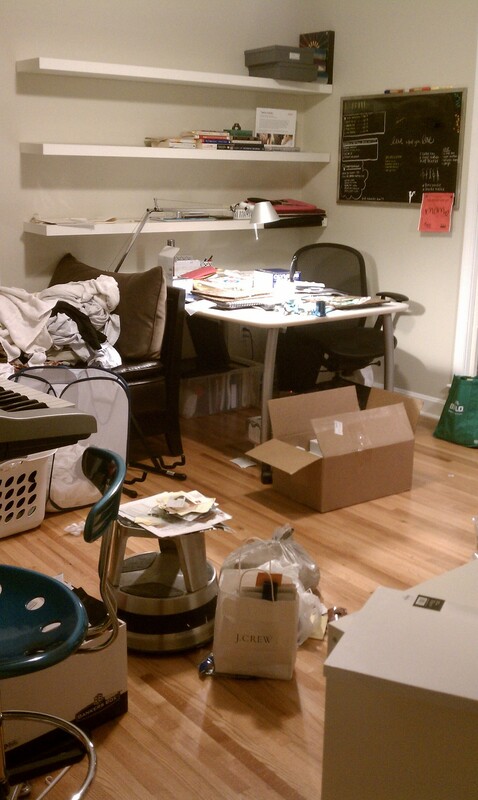 I have to work really hard to not look like a tornado hit my work space- as you see by this embarrassing picture of my studio. I thought showing you this horrendous picture would help to hold me accountable. This weekend I am going to spend some time getting my organization on and I will be excited to show you the fruits of my labor. I am horrible at being organized but I love all the tools of organization, they are always so cool. Like this sweet "smart deck" by Russell and Hazel, a 12x12 pad with the year at a glance on each page. 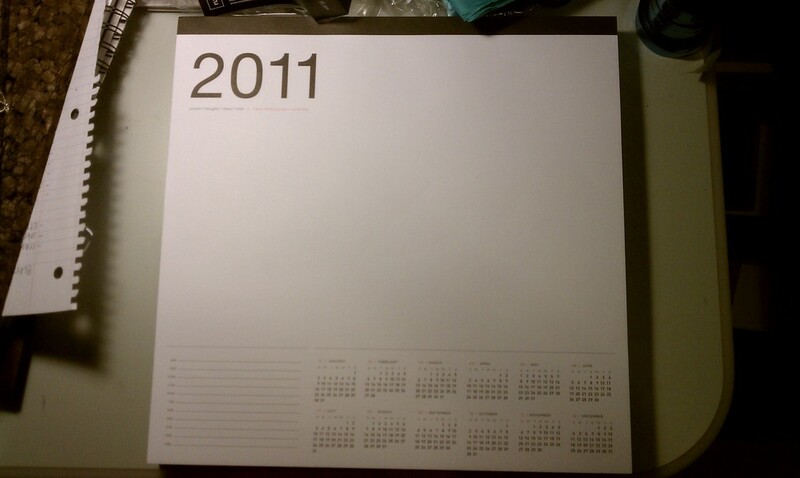 I cannot wait until 2011 just to start using the "smart pad"! 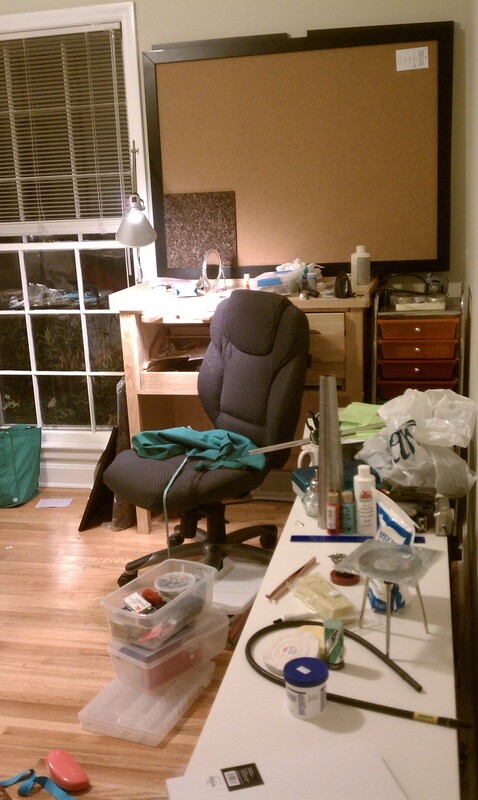 Once I clean and organize my studio I am sure I will find some of my other attempts to be organized that I can share with you and I might actually get some jewelry made while I am at it.